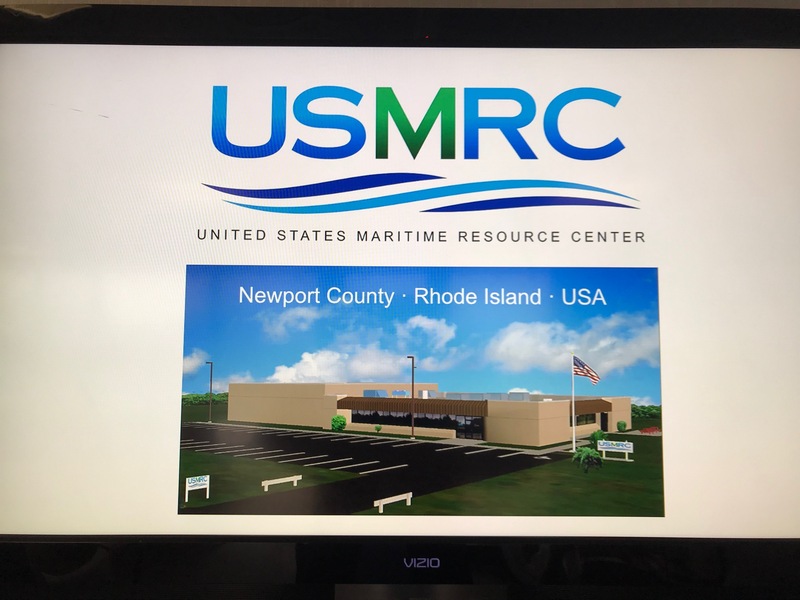 United States Maritime Resource Center's bridge simulators project realistic scenerios complete with automatic radar plotting aids, radar, helm, ecdis and VHF radio's. 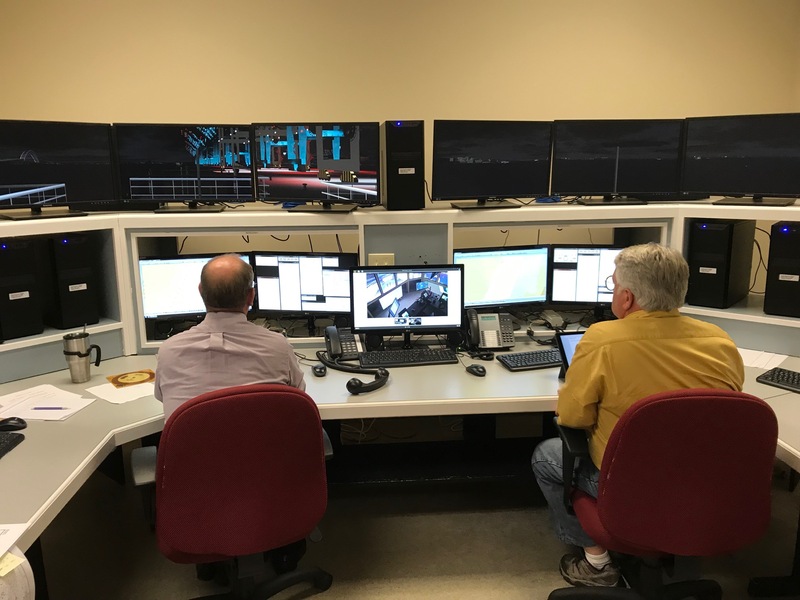 We monitor actions on the bridge from a adjacent room to the bridge simulator to act as officers from other ships. 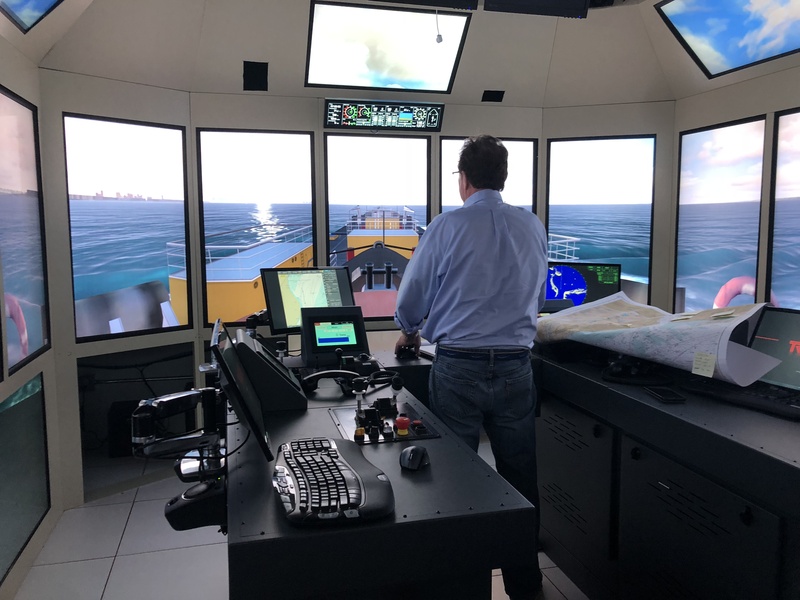 Thanks to close cooperation with marine schools worldwide, Transas specialists have ensured that the functionality of Transas simulators provides effective training and competence assessment for seafarers. 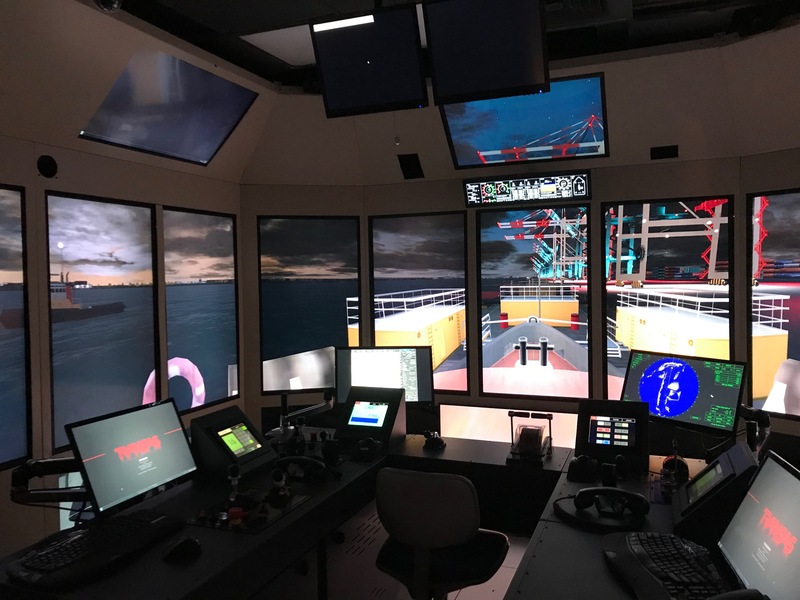 The simulators enable various levels of training, from familiarisation, standard operation and watch-keeping, to advanced operation, troubleshooting and vessel resource management. 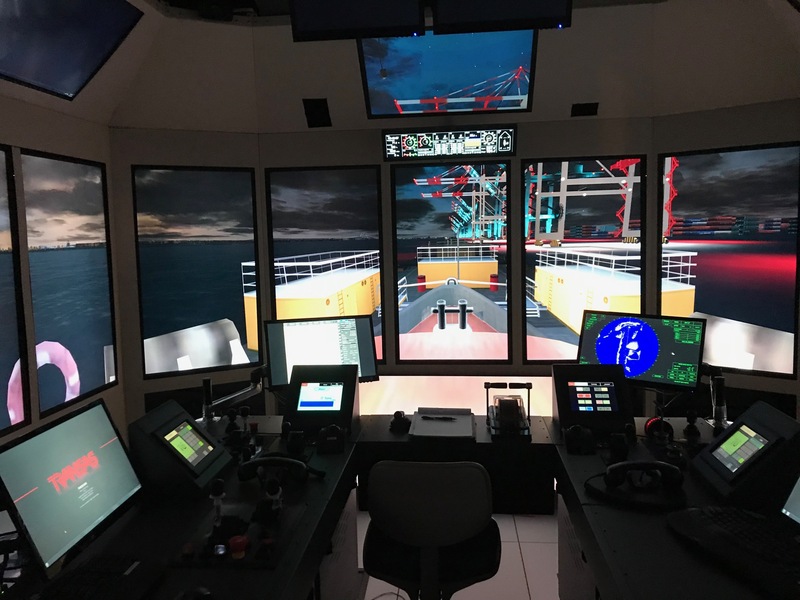 Transas simulators are developed in line with key international maritime requirements (STCW, IMO model courses and specialised standards), and hold certificates from leading classification societies. 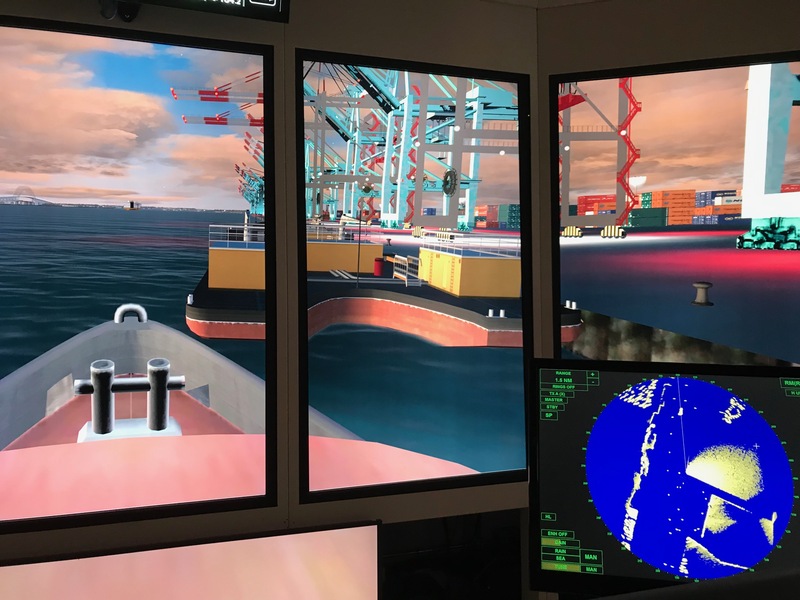 Thoughtfully developed simulator exercises, done under close supervision with rigid performance standards is an effective complement to real world maritime experience. 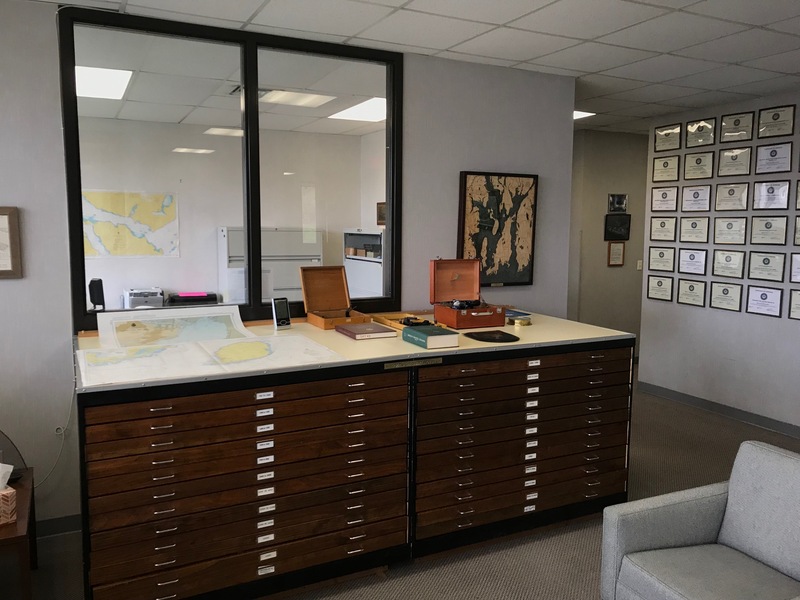 Don't let weather, sea, or atmospheric conditions limit your assessment! 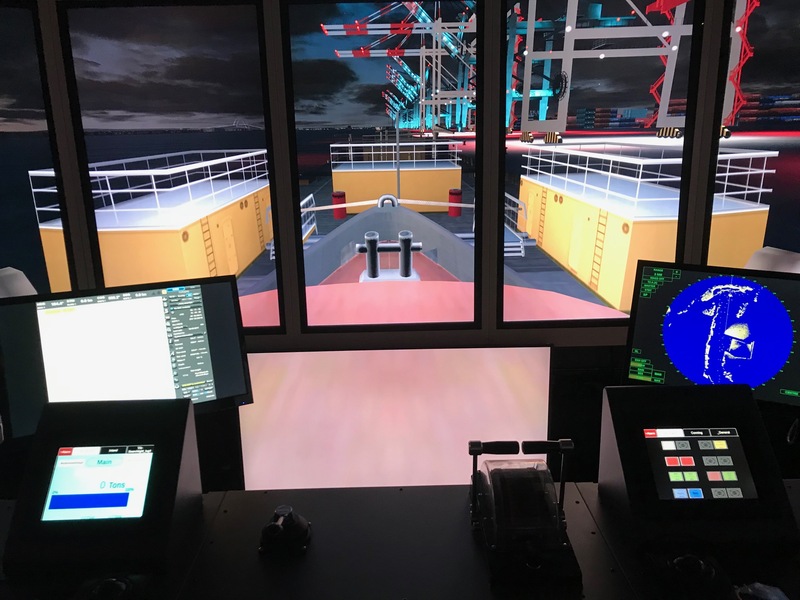 Simulator assessment is safe, cost-effective, and poses less risk to person and property than live-boat exercises. Do not accept limited assessments that don't cover every required exercise condition! 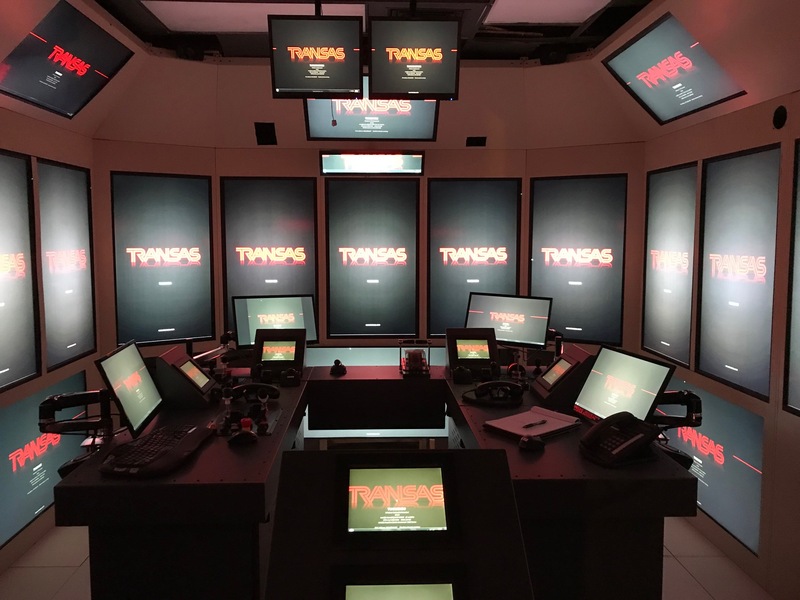 You will ensure your TOAR assessment is complete by taking advantage of this state-of-the-art technology. 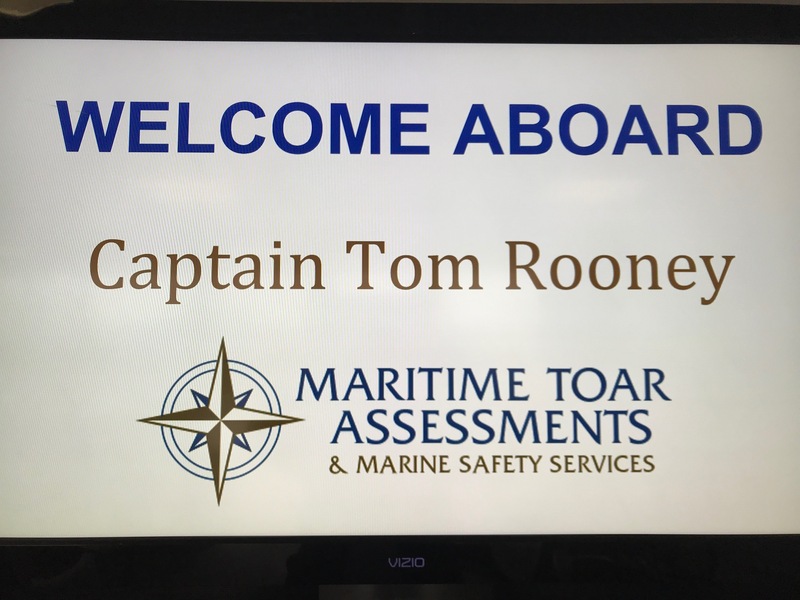 One of the best methods to obtain this endorsement for those mariners who already possess a mate or masters license, is completion of a TOAR. The Towing Officers Assessment Records (TOAR) is a document that lists tasks to be performed or explained (as appropriate), in the presence of a designated examiner.